To start this show, we chat about our experiences at the 4th annual Veg Fest Vancouver last weekend, which Animal Voices partook in. We engaged with many members of the public, and it was a beautiful, sunny day in the heart of downtown Vancouver! Then we chat about the Vancouver première of the film “Cowspiracy“, which followed after Veg Fest last Saturday. Top 6 Vegan Food Picks of L.A. 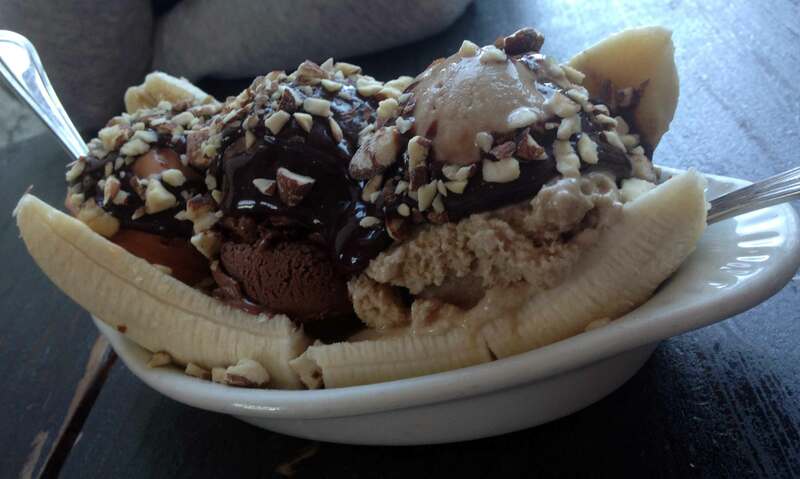 The raw vegan banana split from Sage Organic Vegan Bistro and KindKreme. Cruzer Pizza – all vegan pizzeria plus more! Here’s a great video about Alison’s #1 choice: Sage Organic Vegan Bistro and KindKreme! 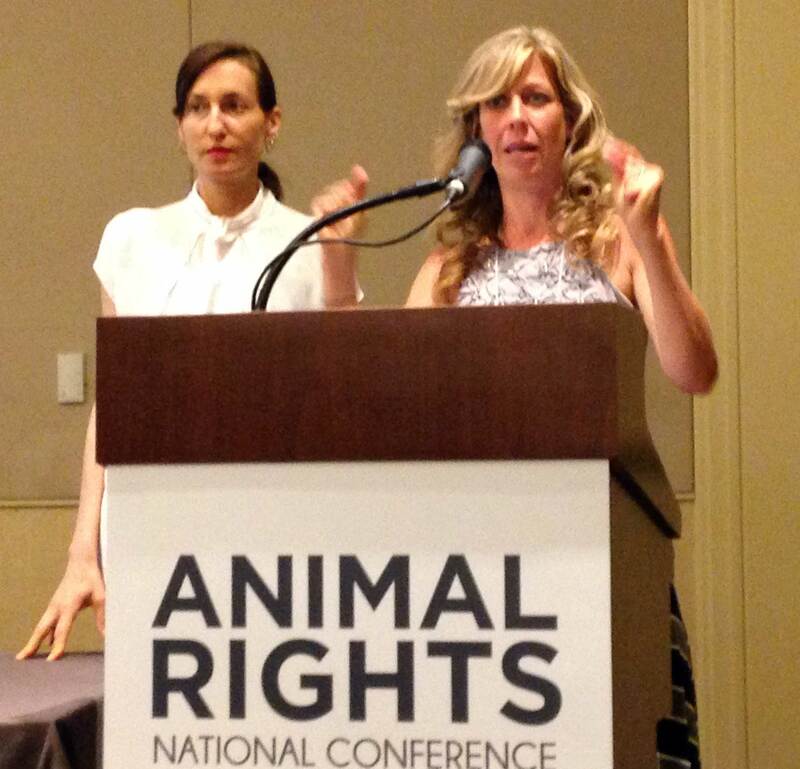 Once again, Alison attended the annual national Animal Rights Conference, which took place in L.A. this year from July 10th-13th. She gives a review of the event, which featured a record-breaking 1300 attendees of animal advocates and 120+ speakers! The conference is put on every year by the good people at FARM (Farm Animal Rights Movement), who do an incredible job to bring this event together. You can check out FARM’s official report of the conference, including a photo gallery, here. In this segment, we also play three clips from the multitude of amazing talks that were presented at the conference. It’s difficult to choose only three, but you can also watch full video recordings of many of the lectures here. 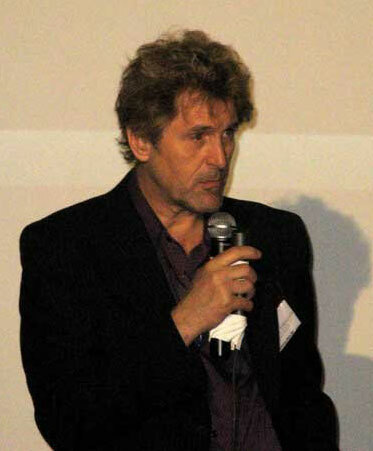 For our first clip, we present part of a plenary address given by well-known animal rights philosopher Dr. Steve Best. He spoke about the history of the animal rights and abolition movement, and in this clip, he talks about WHAT animal rights is. For our second clip, we have celebrated author and podcaster Colleen Patrick-Goudreau. She gave a presentation entitled “The Root and Power of Language”, and in this clip she speaks about the use of animals in language in a derogatory sense, and how such language depreciates the value of animals themselves. And for our last clip, we present part of a talk given by Dr. Melanie Joy, who is best known for her book “Why We Love Dogs, Eat Pigs, and Wear Cows” and for coining the term “carnism”, which identifies the ideology of people who eat meat. She gave a talk about successes in the vegan movement, and in this clip she goes in depth into explaining the strategy we need to have to abolish the eating of animals, and carnism. Sometimes I think Animal Voices is becoming increasingly sexist not less, though there are exceptions among you. No need to reply if you intend to justify your position.